Shell Companies in Nigeria continue their relentless focus on working with communities and managing their impact on the environment. This means addressing environmental challenges related to oil spills in areas with significant oil theft and illegal refining. The vast majority of oil spills in the Niger Delta continue to be caused by crude oil theft or sabotage of pipelines, as well as illegal oil refining. In 2018, close to 90% of the number of oil spills of more than 100 kilograms from SPDC JV facilities was due to illegal activities by third-parties. In 2018, the SPDC JV experienced an increase in the number of sabotage related spills. Regrettably, operational spills also increased (more below on Spill and response data). Regardless of the cause, SPDC cleans up and remediates areas impacted by spills that come from its facilities. In the case of operational spills, SPDC also pays compensation to people and communities impacted by a spill. Once the clean-up and remediation are completed, the work is inspected, and, if satisfactory, approved and certified by Nigerian government regulators. To reduce the number of operational spills, SPDC is focused on implementing its ongoing work programme to appraise, maintain and replace key sections of pipelines and flow lines. Over the last seven years, more than 1,300 kilometres of pipelines and flow lines have been replaced. More details on how Shell Companies in Nigeria are responding, reporting and preventing oil spills in their operations can be found at www.shell.com.ng/environment and www.shell.com.ng/security-theft-and-sabotage. 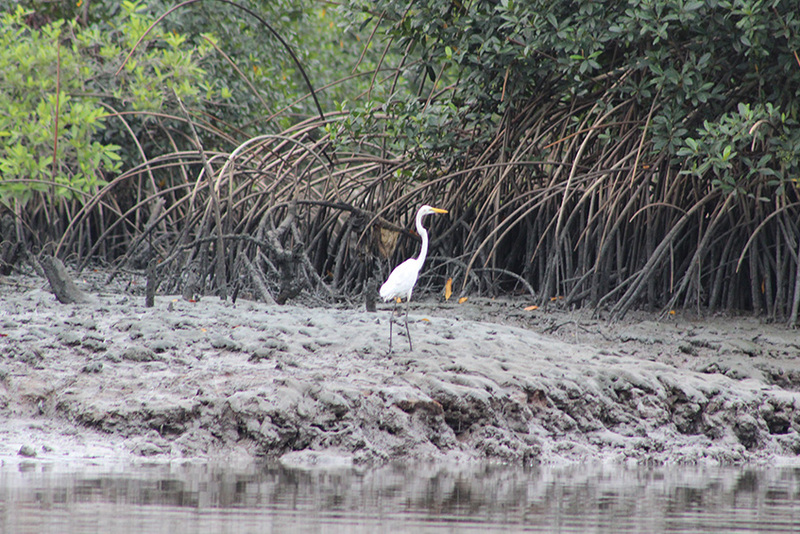 SPDC has worked with the International Union for Conservation of Nature (IUCN) since 2012 to enhance remediation techniques and protect biodiversity at sites affected by oil spills in SPDC’s areas of operation in the Niger Delta. An independent scientific advisory panel, the Niger Delta Panel, was set up and based on its input SPDC strengthened its approach to oil spill response and remediation of soil and groundwater contamination. In 2018, SPDC and IUCN formed the Niger Delta Biodiversity Technical Advisory Group, which also includes representatives from the Nigerian Conservation Foundation and Wetlands International, to monitor biodiversity recovery of remediated sites. In 2015, SPDC – on behalf of the SPDC JV – and the Bodo community signed a memorandum of understanding granting SPDC access to begin the clean-up of areas affected by two operational spills in 2008. As part of this initiative, two contractors were selected to conduct the clean-up, overseen by an independent project director. After two years of significant engagement with the Bodo community and other stakeholders, managed by the Bodo Mediation Initiative, the first phase of clean-up activities started in September 2017. The clean-up consists of three phases: removal of free-phase surface oil; remediation of soil; and planting of mangroves and monitoring. The first phase was completed in August 2018 and the preparation for phase two has commenced. Wildlife return to the Bodo creeks following the first phase of clean-up activities, a sign of ecosystem recovery. We saw further progress in 2018 with vital clean-up work in Bodo, an area affected by oil spills from various sources, entering its next phase. Should activities continue uninterrupted, phase two (remediation of soil) is expected to take around two years. However, for it to be successful, the repeated re-contamination of cleaned-up sites from illegal third-party activities such as crude oil theft and illegal refining, must stop. SPDC is working with the relevant stakeholders to implement the 2011 UN Environmental Programme (UNEP) report on Ogoniland. Over the last seven years, SPDC has taken action on all, and completed most, of the UNEP recommendations addressed specifically to it as operator of the joint venture. The UNEP report recommended the creation of an Ogoni Trust Fund with $1 billion capital, to be co-funded by the Nigerian government, the SPDC JV and other operators in the area. The SPDC JV remains fully committed to contributing its share of $900 million over five years to the fund and made $10 million available in 2017 to help set up the Hydrocarbon Pollution and Remediation Project (HYPREP), a government-led body. In July 2018, the SPDC JV deposited a further $170 million into the escrow account to fund HYPREP’s activities, which completes its first-year contribution of $180 million. HYPREP has issued contract award letters for phased remediation activities and is aiming for contractors to be in place at sites in early 2019. Crude oil theft from SPDC JV’s pipeline network amounted to around 11,000 barrels of oil a day (bpd) in 2018, an increase from around 9,200 bpd in the previous year. The increase in 2018 can in part be explained by increased availability of our production facilities following the repair of a major export line in 2017. Since 2012, SPDC has removed more than 1,160 illegal theft points. The number of operational spills from Shell companies in Nigeria increased from 10 in 2017 to 15 in 2018. The volume of oil spilled in operational incidents also increased to around 0.4 thousand tonnes compared to 0.1 thousand tonnes in 2017. The number of sabotage-related spills in 2018 over 100 kilograms increased to 111 from 62 in 2017. Theft and sabotage caused around 90% of the number of spills of more than 100 kilograms from SPDC JV pipelines, with the balance being operational spills. The increase can in part be explained by increased availability of our production facilities following the repair of a major export line in 2017; crude theft activities in a pre-election year; and the price of crude oil and refined products that is seen as an opportunity for more illegal refining. At the beginning of 2018, 202 sites required remediation. During the year, 116 sites were remediated and 46 certified, while 148 new sites requiring remediation were identified. At the end of 2018, there were 234 oil spill sites requiring remediation.